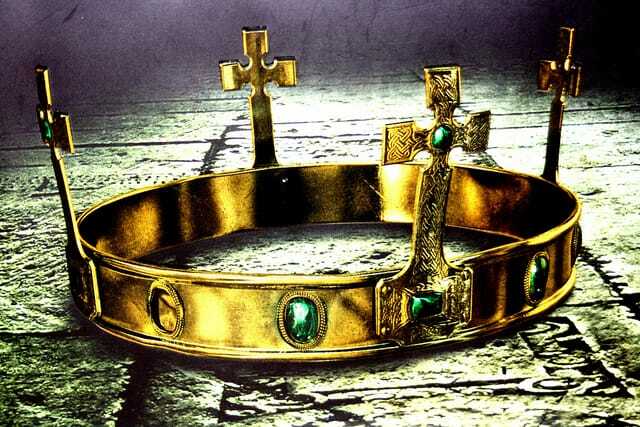 Quality content is more than king, it’s the modern equivalent of a life boat. Today’s consumer is savvier and more connected than ever. Writing web copy that truly stands out from the pack can differentiate your brand online, allowing you to retain an edge in an era of fierce competition. If you’ve mastered the basics of writing well for readers online, you’re in for a treat. We’ve compiled the list of new web copywriting tips, which range from the advanced and scientific, to the slightly more unusual. There’s a time and place for complex, compound sentences, and it might not be on your website. Rely on shorter sentences as a rule, break compound thoughts in half, and use long sentences as the exception, to add variety. The average modern consumer is savvy, and potentially a little jaded. Taking a controversial stance in order to prove a point could be more effective than actually just saying what you mean. Social Psychologist Charles Nemeth has found that arguments framed in “devil’s advocate” style actually strengthen the audience’s original position. Being completely authentic about issues and mistakes isn’t just strong customer service, it can determine your company’s success. Studies have found that organizations who own up to their mistakes fare better, perhaps because they’re perceived as more-responsible by consumers. Never use your blog or web copy to pass the blame or ignore known issues. Some of the most-famous marketing campaigns of all time weren’t afraid to be divisive. Apple’s 1984 commercial first cast their customers as creative and rebellious, a trend that continued into their PC vs. Mac commercials. Tell your customers who they are, or who they aren’t, but don’t be afraid to describe them. Provide your readers with an easy opportunity for one-click social media sharing by embedding a Tweet-it button in your web copy. Your shares could soar if it’s easier than ever for your prospects to publish your pages to Twitter. Do you know what Google, consumers, and your boss all hate? Low-quality content. However, that shouldn’t stand in the way of progress. Don’t be afraid to write something terrible at first, even and especially if you’re on a tight deadline. Getting the thoughts out can allow more time for careful editing. Every writer will encounter a thought that simply can’t be untangled into words. It happens often. You can either leverage fight or flight at this point, but don’t use your confusion as an excuse to abandon your work mid-stream. As one of the proven copywriting tips, consider abandoning the paragraph momentarily and working on a different section, or reading the troublesome sentence aloud to spark your brain. Ensure your perfectionist tendencies aren’t standing in the way of your research or dedicated editing time. F. Scott Fitzgerald once quipped that “using an exclamation point is like laughing at your own joke.” Really, they’re a bit like the black pepper of punctuation. If you use too much, all the other flavors of your copy will be entirely overpowered. Use your words to convey excitement and emphasis, not exclamation points as a default. One of the most magical tools for modern content creators is spell check, but it’s certainly not everything you need to publish your copy. Invest in a good editor who can catch the commonly-confused words that even the best writers flub. Working without a wireless connection isn’t for every writer, but some notable authors you’ve almost certainly heard of - namely Neil Gaiman and Zadie Smith - swear by the Freedom app. The program and others like it completely block your ability to minimize your document and start surfing Facebook. Mark Twain who knew many copywriting tips advised writers to “kill your adjectives.” Use the words you need to convey your message, but axe anything that’s sheer fluff. 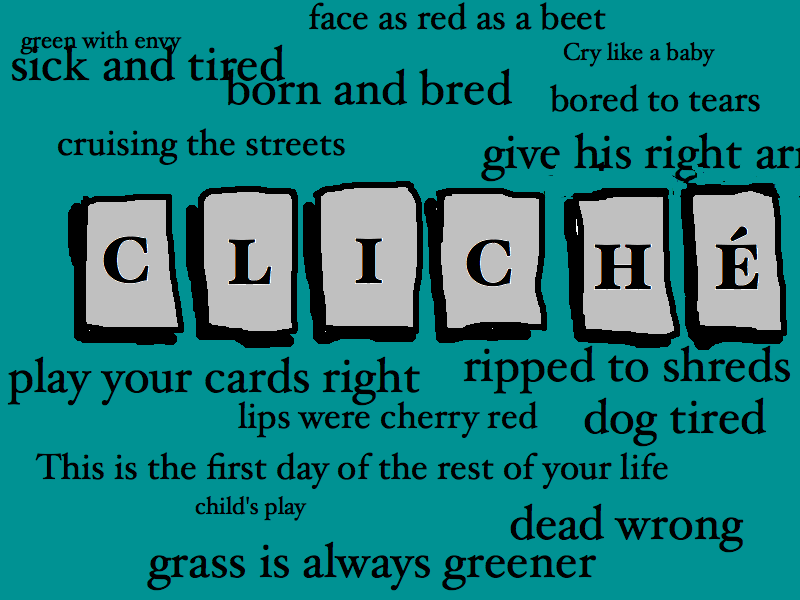 Clichés aren’t just lazy writing, they’re an ineffective web copywriting tactic. Depending on how overused the phrase you’ve picked is, a reader could perceive your brand as lazy, or decide to tune you out entirely. Would you really want to read more of the content excerpted below? George Orwell wrote, “never use a metaphor, simile, or other figure of speech which you are used to seeing in print.” For a comprehensive list of phrases that have been typed far too many times, check out the Oxford Dictionary’s guide to Avoiding Clichés. Great web copy builds camaraderie between a brand and a prospect. Consumers buy from companies they know and trust, and writing in a familiar tone of voice can be among the best ways to boost the relevance of your content. How do your brand’s ideal customers talk? Are they highly technical and erudite, or do they prefer casual language? Your readers are really busy, and they might not make it through the entirety of your content. That’s okay, because you can ensure your message hits home by including a post script. Summarize your thesis, or identify a few action items they can put in their pocket. There’s a reason why traditional media typically follows a distinct format of “who, what, when, where, why, and how.” It’s because these criteria allow writers to communicate a comprehensive benefit to busy readers. or skip to the comics. The Five Ws and One H of journalism can lend a sense of completion to your web copywriting; let your audience know who can benefit, what they’ll gain, when and where they can expect results, why it works, and how to get started. If your audience is anything like the average consumer, they encounter around 5,000 marketing messages a day. That’s a staggering amount of information to wade through; and quantifying your title and message whenever possible can allow your web copy to stand out among an abundance of information. If you’re providing 15 web search tips, or a plan for 20% better social media engagement, don’t keep it a secret. HubSpot research has found that including numbers in blog titles is a tried-and-true success copywriting tip. What web copywriting tips and tactics have worked best for you? Please do not keep it a secret and share with us in the comments section. Very well-articulated, well-researched pointers for creating more impactful content – not just for web writers, but for all copywriters. Thank you for sharing! Thank you, Randy. I am glad to hear you like the article. Great article. I really appreciated the link to Factbrowser.com. I hadn’t heard of it before and will be using it in the future. Thanks! Thanks, Keith. Hope you’ll definitely benefit from using this great fact finder tool. Hi Tatiana, what a great post. Thanks in particular for the links to statistical search engines. I’ve book marked them. I agree with the other posters – you gave us some very good information. I appreciate your comment. Hope you’ll be able to use some of these tips. Very informative article. Easy to read, remember and follow. You’re heart is in the right place and I agree information should be shared so everyone can become empowered. However, if copywriters haven’t got most of these tips by themselves before they go for a job or tout for work then they should give up. Nevertheless it was an excellent article for the uninitiated. Thanks for the comment, Chris. I don’t think the time for giving up ever comes. Even if a copywriter or a person who wants to become one is not aware of these copywriting tips, it’s never late to start learning. Constant gaining new knowledge and self-improvement are the keys for being successful as a copywriter (as well as any other job). Tatiana, this is a great article. I’ve definitely felt the benefit of the negativity bias. I recently did a series on my blog called “5 Reasons Why You’re Failing” that were best-performing posts ever. I have to disagree with number 9, though. I’m fully in the edit-as-you go camp. If I type a sentence that doesn’t work right, I have to fix it or eats at me so much that I can’t concentrate on the rest of my work. I try to produce a final draft every time. Of course, I still have some cleaning up to do afterward, but it tends to be minimal. Thanks for leaving a comment, Robert. To my mind, each copywriter has their own writing techniques, thus some prefer editing their articles as-you-go, others first write and only after making it final start editing the whole piece. As for me, I usually do final touches after writing the whole article. Wonderful article, Tatiana. Thanks especially for the statistical research sites and the reminder not to edit as I go. I know it’s a huge time-waster (sorry Robert), but I find the habit very hard to shake. You are always welcome, Kelly. So where are the 20 surprises? Most of the are straight out of the copy writer’s handbook. I have to agree with Chris. This list is great for people who know nothing about copywriting, or writing for that matter, but for any moderately experienced writer these tips will be old news. Mike, if you are a professional copywriter who knows all this, probably you’ll share your own tips with us. I am sure both the community and will be happy to learn some additional tips from an expert. Sound tips. One of my “things to avoid” is writing something like “. . . he was the second person to achieve that mark . . . “ and then not tell readers who the FIRST person was. It’s a terrible habit to write something that begs a question and then not answer it. Thanks for sharing your personal tip, Mike. Hi, I absolutely loved this piece. You voices several things that I have always thought… and then surprised with a few more that I never knew. Truly useful post for any content writer. Thank you for the comment, Johanna. I think many good copywriters use these tips not even noticing them. ;) Glad you’ve found some useful stuff here. Excellent tips! I struggle the most with compound sentences, complex concepts and ideas – as well as complicated visual layouts – on blogs postings (and yes, that was a live demo of what happens in my 1st draft process). No. 13, “Eliminate Adjectives,” should be “Eliminate Adverbs.” It’s not the descriptive words that are the problem; it’s the superfluous adverbs, like “very,” that are the problem. Yes, Geoff, you may be absolutely right. Adverbs can also be eliminated. Thanks for the comment. I never was good at English. Excelled in all math subject’s. Great article, still in my first year of copywriting/ content writing and seeking to improve. These little tips will come in handy! All of your blogs have met me right where I am at in my journey as a blogger, and have given me such a plate full of things to learn and practice. I write a blog for my dad’s roofing company, and felt my first 3 or 4 blogs lacked that appeal that the blogs I enjoy, have. I copied and pasted several points you made to my home screen because I don’t want to forget them. Thank you! Great blog.